QuoteIT software enables companies to manage critical business functions including: quotes, estimates, customers, sales and executive information and data.Users can track costs, price, create assemblies, view history, email, documents and calculate costs. 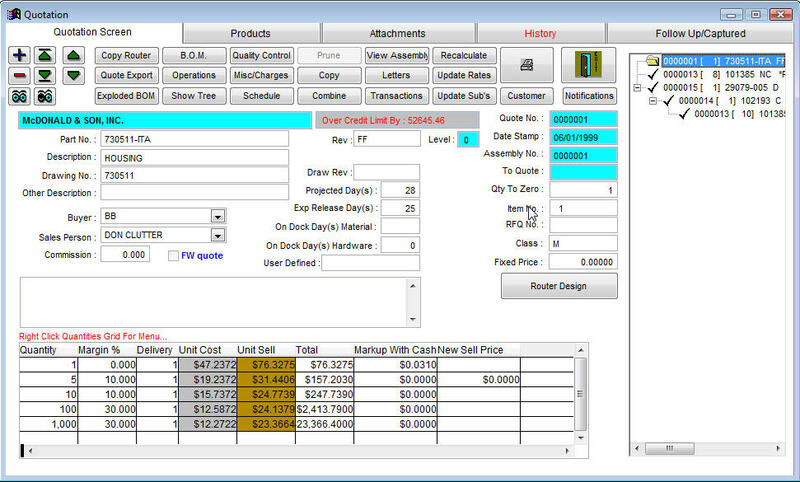 It's easy to use as it simplifies the estimating and quoting process along with helping companies reduce errors. QuoteIT Pro is easy to set-up, maintain and integrate within your organization. Quote IT Estimating Software enables companies to manage critical business functions including: quotes, estimates, customers, sales and executive information and data. Users can track costs, price, create assemblies, view history, email, documents and calculate costs. It's easy to use as it simplifies the estimating and quoting process along with helping companies reduce errors. The #1 Digital Construction Takeoff & Estimating Software for Contractors. Qweas is providing links to Quote IT Estimating Software 10.5 as a courtesy, and makes no representations regarding Quote IT Estimating Software or any other applications or any information related thereto. Any questions, complaints or claims regarding this application Quote IT Estimating Software 10.5 must be directed to the appropriate software vendor. You may click the publisher link of Quote IT Estimating Software on the top of this page to get more details about the vendor.